LOCATION: Approximately 4 miles east of Ocean Springs at 3347 Bienville Boulevard (north side of US 90) in the W/2 of the NE/4 of Section 26, T7S-R8W, Jackson County, Mississippi. DIRECTIONS: From the intersection of Bienville Boulevard (US 90) and Washington Avenue at Ocean Springs, go east 4.4 miles to the Crestlawn Memorial Park located on the north side of the highway at 3347 Bienville Boulevard. HISTORY: Crestlawn Memorial Park was established when John I. McCain, a civil engineer from Baton Rouge, Louisiana, and Wilmot McCain Jr of Monroe, Louisiana purchased approximately 30 acres in the W/2 of the NE/4 of Section 26, T7S-R8W from J.K. Lemon and J.C. Gay on April 11, 1955 (JXCO, Ms. Land Deed Bk. 148, pp 67-68). Crestlawn Memorial Park was built on the perpetual care principal. This means the cemetery operator is responsible for cutting grass on plots, pruning of shrubs and trees in the cemetery grounds, and the general preservation of the plots, grounds, walks, roadways, boundaries, and structures. The operator is not responsible for the maintenance or replacement of memorials or the planting of flowers or ornamental plants. Crestlawn is organized into sections. These are called: Garden of the Cross, Garden of Honor, Garden of Devotion, Catholic Gardens, Masonic Gardens, and Baby Land. The first person buried in the new cemetery was Stuart A. Lange who was interred on September 30, 1955. 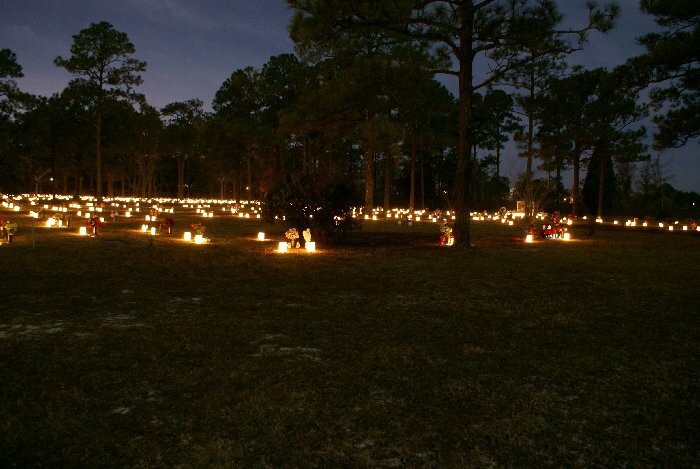 Crestlawn is the newest and largest cemetery in the Ocean Springs area and the only public one with available lots for burial. J.I. McCain sold the cemetery to the Bradford-O'Keefe Funeral Homes, Inc. on December 15, 1987 (JXCO, Ms. Land Deed Bk. 902, pp. 51-52). * Memorial graves. These people are buried elsewhere. ** Disinterred. These people are buried elsewhere. Crestlawn Memorial Park Burial Records, courteously provided by Mr. Ben Moat, manager, in December 1991. Rules and Regulations for Crestlawn Memorial Park (Crestlawn Memorial Park: Ocean Springs - 1955).